For the weekend getaway you can't beat this little bach which has just been renovated and comes with all you might need for just a couple of nights, or a week long stay! Our bach is privately owned and the comforts of your own home have been replicated here. On your arrival just be prepared to just relaxing as everything will be taken care of for you. This bach is all inclusive with linen, towels and extra bedding if you wanted a couple of extras on futons in the living area. A short stroll to the closest beach of only 150 meters and a walk over the hill to the town of Paihia and ferry crossing to Russell. The bach has an outdoor area (decking) and grassed area (that over time will be landscaped). There is also car parking. No need to pack ample of clothing for the extra long stays as there is a washing machine within the bach. For those rainy days, indulge in a wide range of dvds available for your use. Some pets accepted. Message for further details and information. This stay was our final chance to relax before our return trip to the UK. 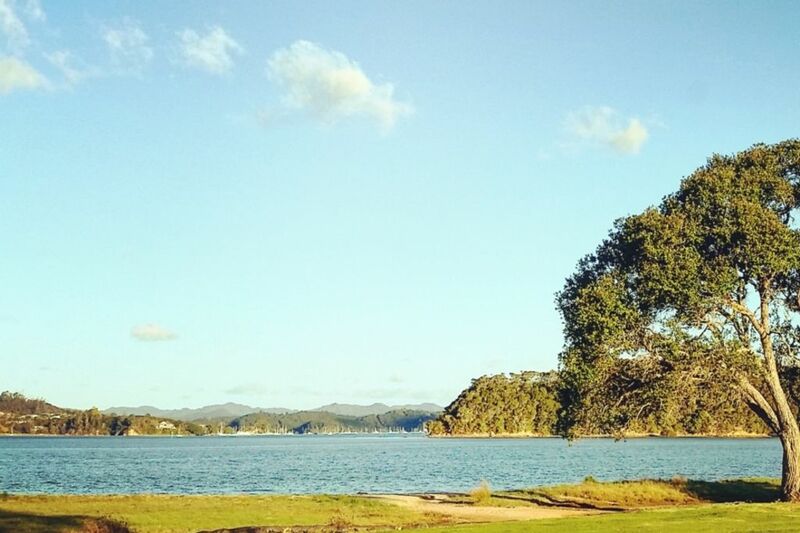 Paihia was the best possible choice. This was also the first proper 'bach' that we had stayed in on our trip. It was really home from home and a great place to unwind. The weather was superb and it was great to have a deck on which to relax. Am writing this review from Kettering UK - and am pleased to say the sun is streaming through the window!! Well looked after and well equipped place to stay. Lots of lovely personal touches made it feel very homely. Would happily come back to stay again. Very clean and comfortable, a good find! Thanks for the great stay, this little place is perfect for two people. Thanks for the great stay, this little place is perfect for two people. It is within walking distance to town and to the beach. We loved it and would definitely stay again. Extremely clean and tidy.